What Is Difference For MDPC? MDPC is having exciting VATCAR event on 3/2/19. I own TropicalSims MDPC 2014. What is difference between MDPC 2014 and MDPC 2016? Hope all is well with you and your fine software company!!! 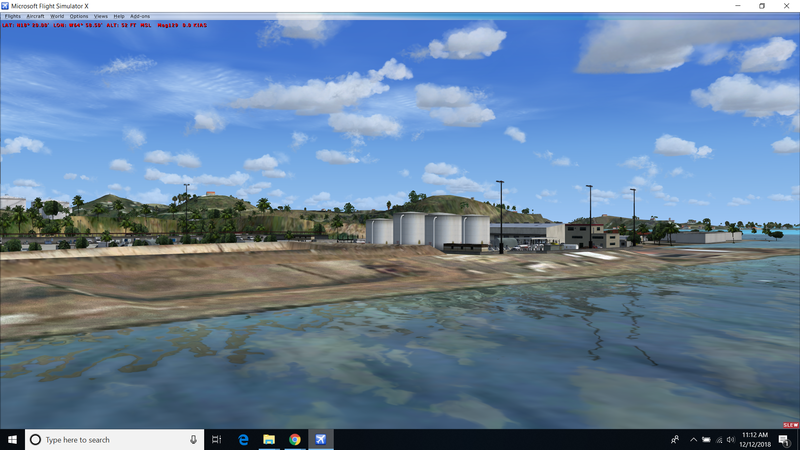 I just installed new 2018 version of TIST scenery along with required extra file called TIST2018_Fence_Fix_ FSX_ P3Dv1_ P3Dv2_ P3Dv3_P3Dv4. I just want to ask you one question. What color of airport fence is it supposed to be in front of taxiway A, please? Is black airport fence along taxiway A correct color, please? I thought it should be gray color for fences??? No?? Installed SBGR but neither SODE or default jetways work here. Hello guys, I love the tropicalsim airports and I have almost all of them but I have one issue, some wont have shadows while the plane is taxiing or at the gate, I just checked TIST and MDPC and same thing, anything I can do to solve this issue? I always have shadows on my settings and clearly I see shadows on all other airports, please let me know what I can do thanks. Good day all I have having some issues with St thomas on som eof the islands surronding the airport. I am using FTX global and Global Vector which are products from Orbx. I am using PreparV4 platform. Now the issues is when I fly out of the airports their is some flat terrain ahead but when I get close the flat terrain turns in to mountains appear which is fine but then there are homes floating in the airI dont know what is causing this but pictures are attached. have you any plan to upgrade Trieste LIPQ? during 2018 the airport has been massively refurbished and your last version (2015) is missing all the new parts and isn't completely P3Dv4 compatible. With the release of GSX Level 2 and an updated SODE version some glitches have been occurring with the SODE jetways, so some XML files are being edited. We'll soon be creating a SODE XML Repository so that users can download updated XML files for the SODE jetways at once instead of having to go through each order separately at simmarket to download an update. As soon as they are available we'll post here where to download them as we have not yet decided where they will be hosted. I recently bought and installed your TIST2018 scenery and it looks wonderful. However, I'm having this issue with the most southern part of the island, where most of the buildings are floating. I installed TIST2018 into P3D V4 and the default terminal is appearing in the middle of the scenery (see attached). I have removed the scenery and reinstalled it with the same result. Do you have any ideas as to what may be wrong?